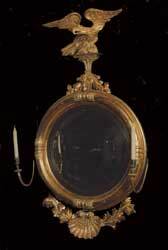 A large, late 18th century hall mirror with candle-arms and an eagle crest. 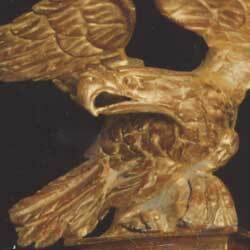 The frame was fully restored, the eagle re-carved, the apron carved with a shell, and the whole water gilded and burnished in 23.5ct. and 22ct. gold on the lotus leaf pattern of the frame.